I have some very exciting news for you today – but first, I want to answer the question on everyone’s lips. In recent months, many of you have been asking what’s happening with our feature documentary, ‘Sisters For Sale’. Perhaps you saw my blog posts last August and September about fine-tuning the film, correcting the colours, recording the narration, finishing the edit and animations. You’ve been asking when and where the documentary will be made available. I can’t give a concrete answer to those questions, because there isn’t one. Over the past few years, we’ve had something like a curse with some of the musicians involved in this project. Two passed away, while a third disappeared without explanation at a crucial time last year. That wasn’t something we could have planned for, or avoided. The rest of the film was completed on schedule last September, before the music was even begun. Johanna Wilson and my brother Will Randall have been composing the film score since late last year. It is now well underway, and sounds fantastic. It’s no small job: Joh and Will are composing 39 minutes of beautiful, hopeful, tender, suspenseful, complex, and sinister music for the documentary. It takes time, particularly on top of their professional research and study commitments, and they’re doing an amazing job. When the score is finished, the final sound mix will be prepared professionally by a team in Los Angeles, whom I’m yet to introduce you to. Until now, the plan has been to structure the documentary’s release around film festivals. Premiering at major film festivals in various regions can make a world of difference for an independent documentary. As we’ve now run over schedule, however, I’m considering skipping the festivals altogether, so I can show you the finished film as soon as possible. I haven’t yet made a final decision. If you’ve supported the film, you will be notified when it’s ready. Until then, if you’d like to receive updates, please add your name to our mailing list. By this time, of course, I’d hoped that ‘Sisters For Sale’ would be out there making a difference in the world. People seem to expect that I’m going mad with anxiety, beating my head against a wall in frustration, breathing down the necks of our composers. I’m not. There are plenty of other exciting things happening here to keep us busy. 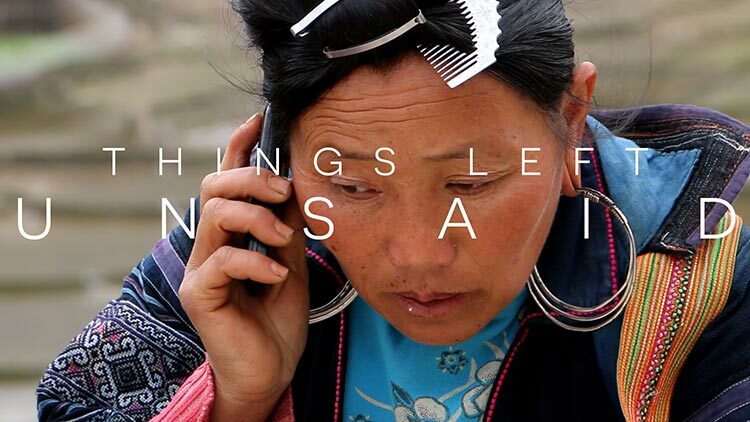 Thanks to our amazing translation teams around the world, our documentary has now been (or is being) translated into six languages, besides English: French, German, Hmong, Mandarin, Spanish, and Vietnamese (and there may be more yet to come!). Katie Carriero has been helping map out partnerships and a tour for the film, while Melissa Adams is developing our new website. Claire Harris and Astrid Hofer are now working together on the forthcoming ‘Sisters For Sale’ podcast. Today, I’d like to share the most exciting thing that’s been happening behind the scenes this year. I’ve long been planning to share ‘Sisters For Sale’ as a book. It’s an amazing story, and a complex one, and it simply isn’t possible to include everything in the film. There are still plenty of things left unsaid. The publishing world works like this. If your story and your writing are good, you can find an agent. If your agent is good, they’ll get you a deal with a publisher. If the publisher is good, they’ll get your story out to the widest possible audience. It’s a highly competitive market. Some writers struggle for years to find an agent, much less a publisher. There are pitfalls too, of course – bad contracts, agents who can’t find a publisher, publishers who can’t get your story on shelves. There are five major publishing houses in the world. They don’t bother with small, niche stories. They have powerful marketing machines working to promote major titles. I’m sure your shelves are filled with their books: mine are. For a long time, I’ve been collecting notes and ideas to develop ‘Sisters For Sale’ as a book, and have already written part of the story. I hadn’t yet begun the search for an agent. This February, I received an unexpected message asking about the book. It wasn’t an agent, but a publisher. More specifically: it was a senior publisher at one of the five largest publishing houses in the world. She’d heard of our story, and wanted to see my writing. She loves what I’ve written so far, and we’re now discussing the best way to bring ‘Sisters For Sale’ – the book – to the world. Since I was a child, writing has been one of my great passions. For me, to become a published author with one of the world’s great publishing houses would literally be a dream come true. So, no – I’m not over here going mad with anxiety, or beating my head against a wall; I’m madly scribbling the pages which, before long, I hope you’ll enjoy. I’m really excited to see where all this will lead us! The few authors I have the pleasure of knowing personally have shown no hesitation in offering their guidance and support. I’d like to thank Belinda Bauer, Elijah Wald and particularly the wonderful Sifis Zervoudakis for answering all my questions over the past months, and Michelle Imison for proof-reading my work. I’m very pleased to announce that our recent poster competition was won by Myste Laquinta, who has been one of our most amazing supporters over the past few years – congratulations, Myste! Of course, there’s always more happening behind the scenes here, which I’ll be sharing in good time. By this time you might have realised I like to keep an ace or two up my sleeve!